6ft Airblown Santa Sitting on Polar Bear Scene by Gemmy at Two Clock. MPN: G08 85425X. Hurry! Limited time offer. Offer valid only while supplies last. 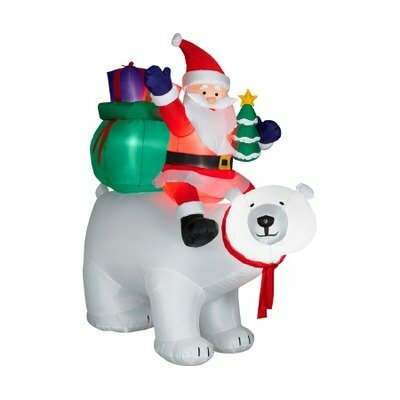 6ft Airblown Santa Sitting on Polar Bear Scene Set the tone of your outdoor holiday decor with the 6ft Airblown Santa Sitting on Polar Bear Scene.